Designed for AR style 22 cal rifles, Winchester's M-22 black copper plated bullets resulting in consistent feeding in high capacity magazines and reduced barrel fowling. 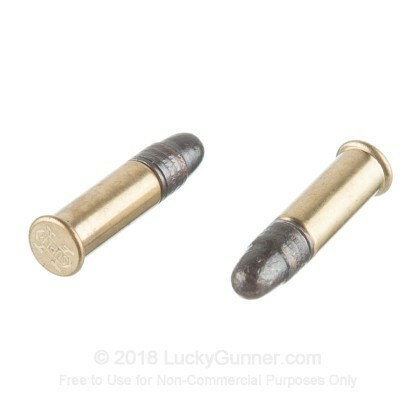 This ammo is brass cased, boxer, non-corrosive, and rimfire primed. Put 1,000 rounds through a M&P 15-22 with no issues. Functions well in all my rim fire rifles and pistols/revolvers....and as usual, Lucky Gunner gets it here fast, safe, and with excellent pricing! UPS used the box for a football, but the contents were undamaged, awesome job, guys and gals! Keep up the good work! Great value for this type of quantity. 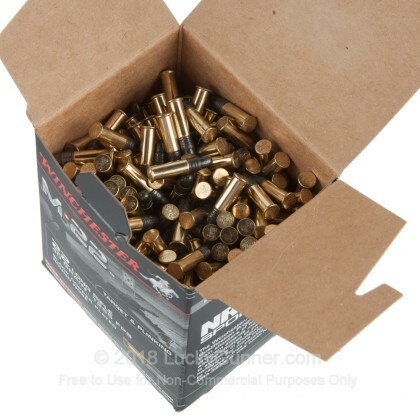 Comes in 2 boxes of 500 loose rounds, and feeds well through a Walther and Ruger bolt action. Buy now while in stock! LG is unbeatable when it comes to selection and price. 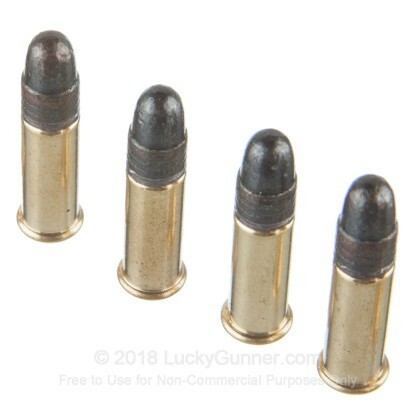 I have fired hundreds of rounds of this ammo through my GSG 522, through 14 different magazines. Rarely have had a failure to feed or failure to fire. Residue is low and easy to clean. 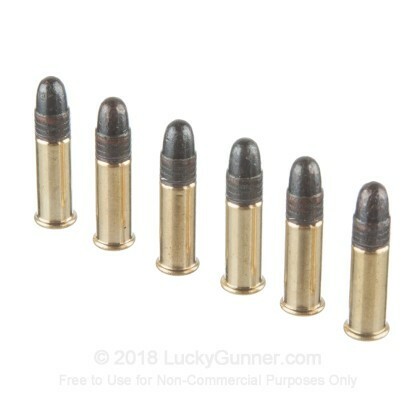 Like most 22LR ammo, this has been hard to come by. Just ordered more from Lucky Gunner! 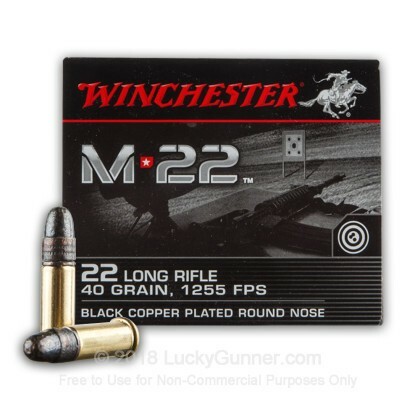 We also have this 22 LR - 40 Grain Black Copper Plated Round Nose - Winchester M22 - 500 Rounds ammo in stock in a smaller quantity. 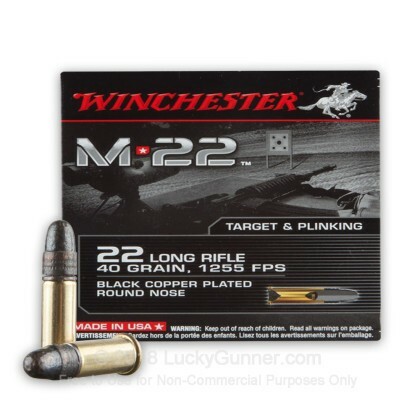 We also have this 22 LR - 40 Grain CPRN - Winchester M22 - 2000 Rounds ammo in stock in a bigger quantity.